"Dominant Dog Behavior is a natural behavior for dogs. Since a dog is a pack animal they need to understand where they fit in the pack. It is important to let your dog clearly know that you are the leader and that he or she is below the human members of your family." In the wild dogs are organized into groups called packs. Within the pack their is a hierarchy with the alpha dog in the lead and then a second dog, third etc. As long as your dog knows where he is in the order he understands how to behave. For some dogs understanding where they stand in the order is enough. They are comfortable to act their part. So for example if members of your family are the leaders of your pack, then your dog knows it is lowest in the hierarchy. Problems occur when your dog isn't clear as to his role or if your dog has a need to be the dominant dog or wants to demonstrate that he is dominant. Don't be fooled by nice behavior when your dog is getting what he wants and then mean behavior when he doesn't get his way. Exercise. A dog that is getting at least 1 hour a day will be more content. Prohibit your dog from occupying places that are reserved for humans such as the couch or the bed. Reward your dog with praise and a treat when he stays on the floor while you are sitting on the couch. A head collar is a gentle way to train your do and show him that you are in control, particularly when walking your dog. The collar gently nudges your dog and is comfortable to wear. These collars are low cost, can be used inside and out. Popular brands include the Gentle Leader Dog Training Collar and the Halti Training Head Collar. Practice giving your dog commands. Reward your dog when he sits or stays as requested. Invoke a command before a situation when your dog usually likes to be dominant. This sets the tone prior to the dominance problem occurring. Control when you give your dog affection. Don't do it when your dog asks, but when you want to give it. Avoid games where you both pull on the same toy or rope. This could be perceived as a struggle for dominance instead of a simple game. If all else fails prescription medications may help calm your dog. You might also try a natural remedy made for this purpose such as PetAlive Aggression Formula for Stressed and Aggressive Pets. 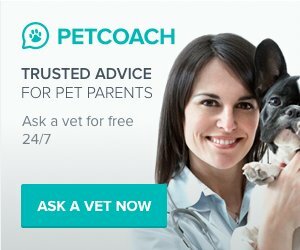 You can also consider hiring a behavior specialist who can help you with a training program for that meets the needs of your specific dog.